At Shea Family Dentistry, serving the Moreno Valley, CA area, Dr. John Shea offers Electronic Dental Anesthesia (EDA) to help greatly reduce the sensation of an injection. The EDA is a battery-operated device that sends mild electrical impulses through a finger pad that Dr. Shea holds against the tissue surrounding your tooth. This produces a pulsating, tingling sensation which effectively masks the discomfort of an injection. Moreno Valley area periodontics dentist, Dr. Shea offers extensive experience. Gingivitis and bleeding gums can be risk factors for more serious health problems if not treated promptly. For natural-looking prosthodontics, Moreno Valley area dentures dentist John Shea, D.D.S. has extensive experience. Our team uses quality materials and current techniques to deliver the results you want. If you need gum disease treatment, Moreno Valley area gum disease dentist, Dr. Shea offers extensive experience. Unhealthy gums can be a risk factor for more serious health problems if not treated promptly. If you're looking for dentures that look great and last, look no further than Shea Family Dentistry located in the Moreno Valley, CA area. 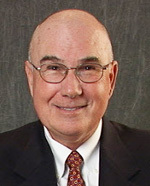 John Shea, D.D.S. will assess your needs and fit you with durable, comfortable, natural-looking dentures - at a price you can afford. Thinking about your baby and prenatal care is normal during pregnancy; however, thinking about your teeth and dental care may not be forefront on your mind. Women need to pay special attention to their teeth and gums especially during pregnancy to avoid the increased risk of dental problems. Pregnancy brings a change in hormones, especially increased levels of estrogen and progesterone, which are linked to plaque buildup on teeth. Plaque that is not removed can cause gingivitis and swollen gums that are tender and prone to bleed. Most pregnant women experience gingivitis to some degree, but it doesn't usually surface until the second trimester. If you had gingivitis before becoming pregnant, your condition will likely be aggravated; untreated gingivitis can lead to a more serious problem -- periodontal disease. Swollen gums that become irritated can also lead to pregnancy tumors, benign growths that will usually shrink and disappear without treatment. However, if the tumor causes discomfort or interferes with chewing or brushing, the dentist may suggest removing it. If you experience dental problems causing pain, you can be treated at any time; however, consult your doctor if anesthesia is required or a medication is prescribed to you. Avoid X-rays during pregnancy, unless they are critical to emergency treatment. It is recommended to schedule elective procedures after your baby's birth. 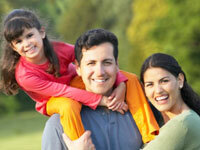 While you're expecting, have great expectations for maintaining good oral health. By doing so, you'll keep your beautiful smile and share it with your baby!